Class size - 14 students. Grades 1st - 5th. houses. Each student can take home their living garden. 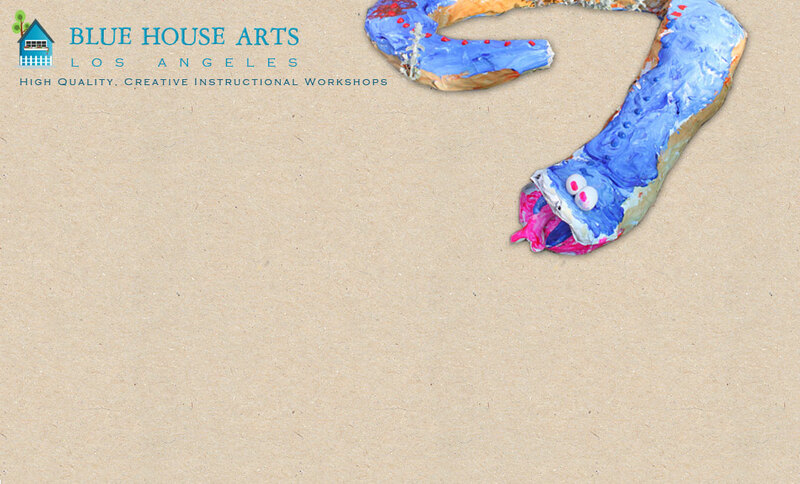 Make a snake, spider, or piggy out of Paper Mache. Everyone can be successful with these large projects which turn out beautifully. This project can take one of two days. If taken as one day, the painting will need to be done at home. 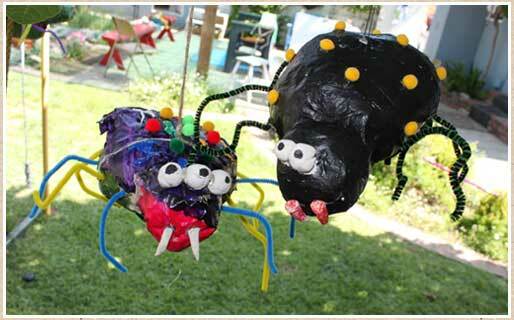 Using Paper Mache we will make a spiders, bowls, or created creatures. We will also make jewelry using beautiful decoupage techniques. Finally, we will take a walking field trip to the 99 c Store to create an animal from household and recycled objects. Children can work through the projects of their choice at their own pace. “I pick art activities where children can construct using tactile materials.